An Unexpectedly Impressive Shadow – amandarobots. Well, I should have been excited. So here’s me hopefully compensating for that with some retroactive excitement. I was in Sephora returning the tragic Cream Lip Stain and, of course, I ended up spending more money than I got back. Surprise. I was playing with the new Nars shadows and found myself seriously impressed by them. For starters, the formula rocks – they are buttery soft. 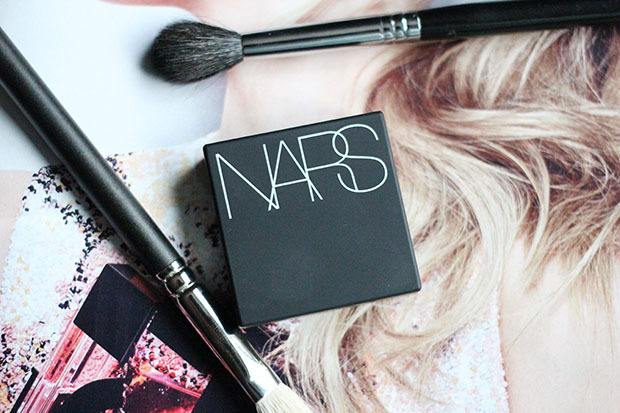 Some of the traditional Nars shadows, particularly the light shades, can be a little chalky and stiff. Not so with these. 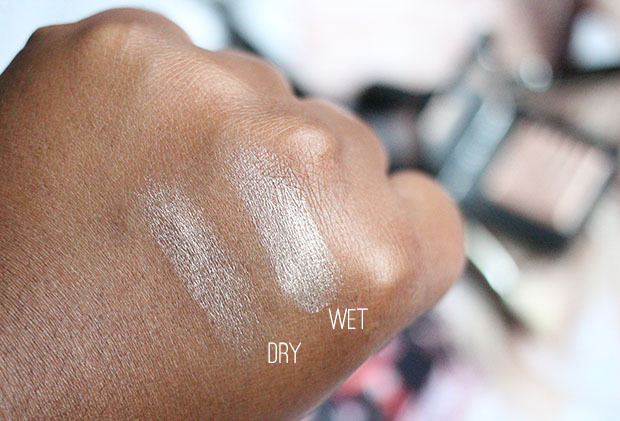 A quick swatch of the whole line proved consistently smooth and downright delightful. Impressive. Then there are the shades. I don’t think there’s a single shade in this range that I wouldn’t wear in some capacity. Some are more daytime appropriate than others – like Himalia, which has quickly become my everyday shadow. But every shade is interesting, gorgeous, and unique – the last one being an especially difficult feat in today’s saturated beauty market. Himalia offers a dense, foil-like finish whether applied wet or dry. Obviously, a wet application yields more impact. In either case, here’s the caveat: ditch the brush. Yep, I find this shadow to apply best with my fingers. I smooth a primer onto my lids, then rub my ring finger in the product and dab it on. You could stop there, but for my own perfectionism sanity I like to blend things out with a brush – something fluffy like a MAC 217 or Sigma E40 works nicely. As for a mono being less exciting than a palette, I’ve gotta say that that holds true. But I’ve found it to be quite liberating. Sometimes I feel like my palettes have too much choice; with this as my go-to, I can just reach for this tiny little square and be done with it. Not to mention that its size makes it seriously travel-friendly. Oh, Nars. I’m sorry I ever doubted you. These look amazing! I have my eyes on phoebe, subra, and callisto . They swatch so nicely, and temptalia and you are recommending them, so I have my quality guarantee 🙂 I hope they come out with some purple ones. I really want Phoebe, Callisto, and Cassiopeia. Great blog! 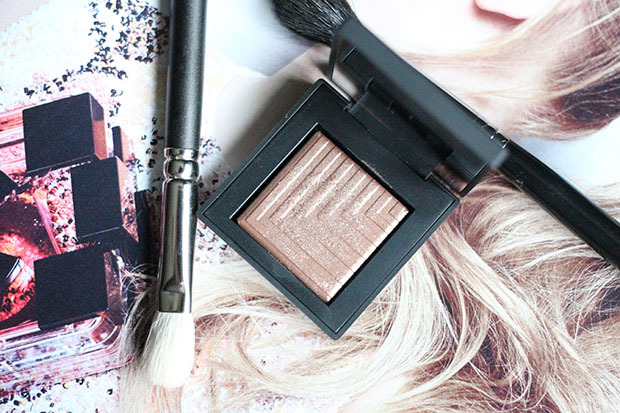 Phoebe looks gorgeous – Jaa of hellojaa.com reviewed it and her photos really show how versatile a shadow it is!